Although Mega Man is by far Capcom's most prolific franchise, it's been about half a decade since the company devoted any serious resources to it. 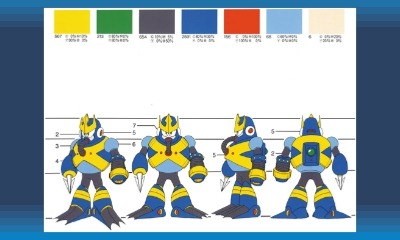 Capcom hasn't erased the blue bomber but rendered him the equivalent of a niche Mickey Mouse. He's retained his iconic status within his own sphere, but any conversation about his current exploits stems from the occasional port/remake, casual mobile game, or merchandise. 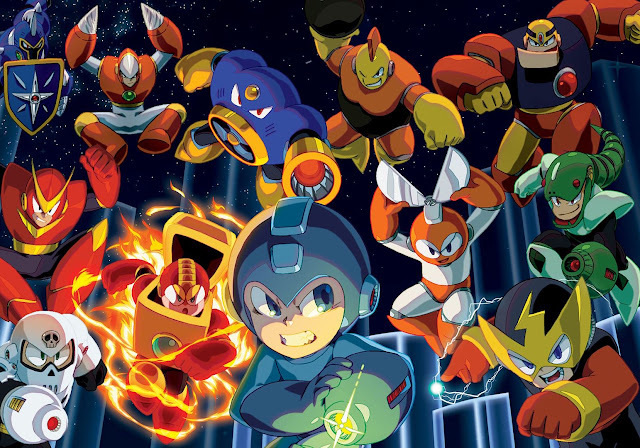 Mega Man Legacy Collection the latest in a series of re-releases meant to channel the glory days of the beloved platformer franchise on a new format, this time for current-generation hardware. While it's mildly frustrating that this compilation is inferior to a console release from 2003, Legacy Collection seeks to highlight the NES games above all else. To be perfectly frank, Mega Man's NES series is one that warrants being resuscitated as much as Pac-Man or the original Sonic the Hedgehog. That's a tall order for six separate games, as each entry manages to contribute something worthwhile (to varying degrees, of course). What led a series of highly formulaic 2D platformers to capture the hearts of millions and spawn copious spin-offs was arguably sheer charisma backed by solid sci-fi building blocks. Taking place in the vague, potentially futuristic year of 20XX, technology has evolved at an alarming rate and the study of robotics is the norm. Our titular robo pal is one such creation and his position as a youthful robot looking to bridge the gap between two societies by protecting both from malevolence. From the elder mentor figure/creator to the aspirations of each individual, it’s a narrative strongly reminiscent of Astro Boy from Osamu Tezuka’s eponymous masterwork. The franchise would eventually go on to make more profound statements about free will versus determinism as well as speculate about the potential friction in a society occupied by a jaded mankind and ostracised artificial intelligence, but these early games are largely frivolous affairs that use this motif mostly to stylistic benefit. But style is what classic Mega Man delivers in spades. Every aspect is chic, from cleverly chosen colour palettes that maximised the limited NES hardware to witty naming schemes based on music genres and inventors. These names are slightly altered and confusing at times since the localisers radically altered certain names (including Mega himself) and kept others, but the charm always shines through. What separated Mega Man from fellow platforming heroes was his ability to claim to the weaponry of any Robot Masters he bests in combat. This meant that every level had a broader purpose in that players were powering up the protagonist’s arsenal and making him more flexible for the countless brutal situations the game would throw out of left field. Compounded with a non-linear level order, picking and choosing which boss to fight first could result in a radically different experience since each boss has weaknesses or immunities to others. Sadistic players could also test their mettle by taking on the more meddlesome foes with nothing but the default weapon, which provided some longevity relative to the short lengths of these games. With just short of fifty bosses represented in Legacy Collection, there’s a ridiculous degree of variety to discover for first time players, from Metal Man’s game-breaking blades to the inelegant but useful Top Spin attack. Mega Man clung to tradition strongly throughout his six Nintendo stints. 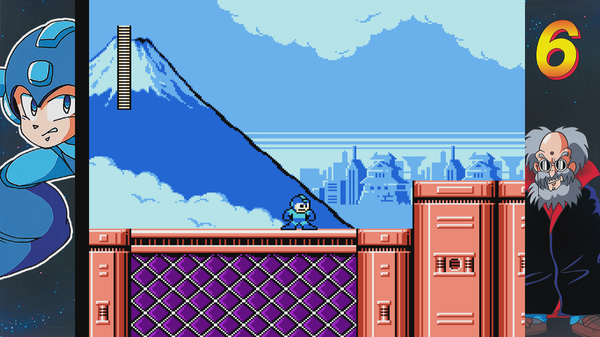 All games feature relatively goofy plots designed to get Mega Man into his default position of saving the world. That doesn’t mean the developers failed to innovate or craft creative scenarios throughout the franchise’s heyday, though. Each stage features highly thematic scenery that defies the genre’s archetypal grass, water, fire, and ice stages. 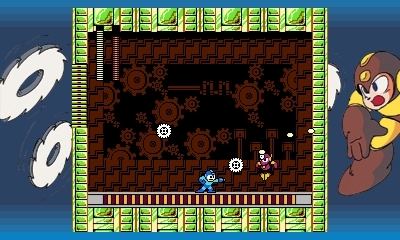 While those tropes are still represented in Mega Man, they’re sidelined in favour of highly imaginative stages. Despite the popular opinion that the later entries are weaker efforts, those ones actually have some particularly brainy ideas. 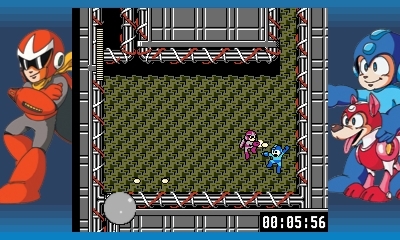 Bright Man sees the blue hero having to avoid shooting pesky enemies to keep the lights on while Gravity Man’s stage tasks players with manoeuvring Mega Man upside-down. Changes implemented between games are subtle but ultimately worthwhile…for the most part. Mega Man 2 expanded on its forefather’s original blueprint by instituting more bosses and extraneous weaponry for actually navigating the stages. Mega Man 3 represents a colossal leap forward by expanding the previously shallow story to become the most “serious” one of the lot. It also includes Mega Man’s partner, Rush, and a revolutionary slide attack that completely changes how players approach situations and boss fights. The fourth outing saw the addition of the charge attack, which again systematically altered the way players approach situations. The fifth and sixth instalments weren’t quite so progressive, with the former having Mega Man collect letters to unlock a new partner character and the final game featuring the ability to, uh, merge with a robot dog. There’s definitely a pecking order, but each game is inspired in its own right. The brainchild of Akira Kitamura and Keiji Infafune also raises questions about how level design in platformers is executed. The difficulty employed in the six NES games available in this package is paradoxical; clever but brutal, generous yet stingy. In a time when developers often employed trickery to manipulate players into making poor decisions to artificially extend a game's length (and, consequently, its perceived value), Mega Man is an outlier that can't be easily described. I will say, though, that Keiji Inafune himself admitted to struggling to play the games is telling. Certain scenarios the developers set up are extremely charitable, teaching the player subconsciously how to tackle situations by showcasing them in action before actually inflicting that particular hazard on the player. This grounds some of the more intimidating obstacles and provides realistic expectations. Of course, after building up this rapport, obstacles can very well be placed in a manner precious few could ever react to on their first shot. Other times, the game is just flat-out, indefensibly unfair. In these instances, discovery is just as important as correctly interpreting each level’s subtle cues. But the levels are always inventive, the soundtrack provides consistent chiptune greatness, and there’s a sense that the player grows with each death. The result is deliriously addictive, Stockholm syndrome-esque game design. The greatest criticism of the level structure in Mega Man is that it doesn’t draw the line between secret and mandatory puzzle. This is especially true with the earlier games. In the first outing, a weapon called the Magnet Beam is mandatory for progression, but obtaining it mandates you slay bosses in a particular order (completely contradicting the open-ended nature of the game). Because players are conditioned to believe new gadgets are only rewards from robot masters and there’s no in-game notification, it’s easy to falsely conclude the game is broken. Capcom did not make player convenience a priority here. In the age of the internet, though, these games have become significantly more accessible. Whereas a child in the early nineties would have to bust out a copy of Nintendo Power or struggle through each boss with no strategy beyond trial and error, thirty seconds of Google can grant you an exhaustive guide to what weapon bests which boss. Couple that with the requisite save states and the younger generation of players might not feel so ostracised. That’s a great thing because, for Mega Man novices, this package is worth exploring simply because of its influence. Countless titles have borrowed and tinkered with Mega Man's parts, but modern classics still look back at its contributions. Indie darling Shovel Knight, which is by all accounts a more “fair” and better designed experience, takes countless pages out of the Super Fighting Robot's book. With Inafune’s Mighty No. 9 on the way and looking to make a splash in the media, there’s no better time to lap this up and draw some comparisons. As a compilation, Legacy Collection thankfully makes an effort to be more than a sloppy pile of regurgitated code from decades ago. Each game is loaded with countless illustrations from artist sketches to box art right down to the Japanese manuals. The challenge modes are worthwhile, serving up dozens of bite-sized portions of the games such as boss rush modes that are better suited to on-the-go play. In all honestly, though, just having access to all these games on a handheld and in one location is a true gift. There could have been more games crammed into a Mega Man collection in 2016 than just the NES titles (and, in fact, that has happened), but the current roster doesn’t disrupt its mission in the slightest. That mission is to share the earliest exploits of a gaming icon with a new audience while throwing a bone to longtime fans so Capcom can contemplate the Blue Bomber’s next step.